Timcheh (or Timche-ye Amin od-Dowleh) is a small caravanserai located in Bazaar of Kashan. It consists of small roofed spaces which were mainly used for selling luxurious goods like Persian carpets back in Qajars dynasty and it is still in use today. The picture shows the unique glorious ceiling of this structure. 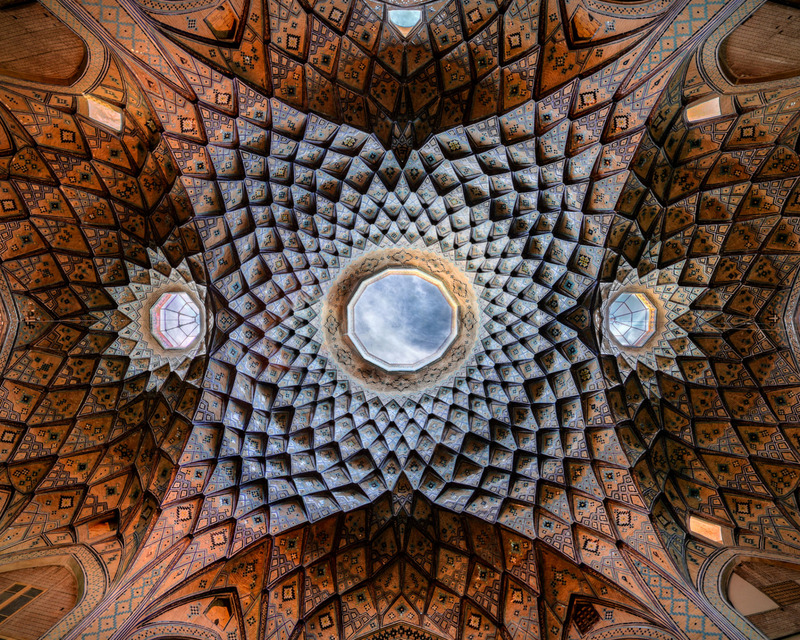 After walking around the historical market of Kashan, which in itself has a cultural and architectural significance and seeing a verity of stores, selling things like Rugs, Gold, Shoes, Clothes … You Reach the TIMCHEH, all around there are shops selling Rugs and historical artefacts, but the most amazing view is this ceiling in the Photo. Under the ceiling there is a big pond, I stood in the pond to take the photo directly in the middle.